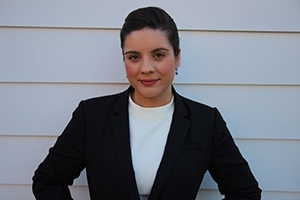 Professor Megan Stewart, an expert on state formation and civil war, joins the School of International Service (SIS) this fall from the University of Virginia, where she was a post-doctoral research associate. Her research on civil wars and state formation has taken her around the world to Egypt, Lebanon, East Timor, Australia, and the United Kingdom. Professor Stewart is currently working on her first book project, Governing for Revolution, which focuses on the long-term strategic goals of insurgencies. We spoke with Stewart about what led her to SIS, her research interests, and why the study of sovereignty is important to understanding foreign policy challenges. Tell us about your background. From where are you joining the School of International Service? I did my undergrad degree at New York University and I was really interested in the idea of states within states. I did some research as a senior on the Muslim Brotherhood and I was in Egypt about a year before the Arab Spring. That research got me hooked and interested in pursuing scholarly work, so I went to Georgetown to get my PhD. This past year I’ve been at the University of Virginia working in the Politics Experimental Lab on a research grant from the Air Force. Essentially I was tasked with understanding the psychological implications of exposure to violence amongst civilians. What research have you conducted about states within states? I was really interested in the idea of states within states, how sovereignty emerges and how it’s contested. When I was in Egypt, I interviewed members of the Muslim Brotherhood, civil society in Egypt, and other stakeholders who were invested in Egyptian democracy to try and get a sense of the history and reality of the Muslim Brotherhood’s relationship with the Egyptian state over time. That idea has developed into how organizations contest sovereignty and create their own orders: how they rebels within states and how they fight against states, using violence and social service provisions, to create pockets of different orders within a state. Why do you think sovereignty is important to study right now? I think it’s important to study right now because it speaks to real challenges that the US is facing in maintaining and establishing hegemony globally. In Syria or Afghanistan, I think sovereignty is important to understand that just because a country has a specific set of borders and boundaries doesn’t mean that the power of the national government is actually going extend to those borders. Even if the national government is trying to get to these underserved places, they might not actually be reaching them. I also think it’s important for the modern conflict dynamic to help reduce humanitarian crises or at least mitigate them. For example, if rebels are expected to provide social services as part of their repertoire, you can start to mitigate or at least direct resources in a better way to not have people dying because they don’t have access to health care. Are you working on any current research projects or publications? Right now I’m working on a book project that makes the case that certain rebel organizations look to one another and try to copy their governing institutions. These organizations also look to other states and try to copy those institutions as a way to gain legitimacy domestically and internationally and to achieve their goals. I’m also working on a project about Reconstruction in the United States after the Civil War. What I find is that when the federal government provided freedmen and freedwomen sufficient resources as part of Reconstruction, inequities between blacks and whites in terms of education and employment were reduced. But in those same places where inequities were reduced, you also saw an increase in the likelihood of whites lynching blacks and whites. What courses are you teaching and what are you most looking forward to as you settle in at the School of International Service? I’m teaching a senior capstone called “Strategies of Rebellion: From Mao to ISIS,” which looks at what civil wars are and why they happen. It looks at how rebel groups behave within the context of civil war, how they organize and operate on a domestic level, and also how they engage with the international system and what that really means. In the spring, I’ll be teaching the capstone again, as well as a graduate-level research design and methods course. I’m most looking forward to working with my colleagues at SIS. The diversity of intellectual interests and faculty members was something that really attracted me to SIS in the first place. AU was my first choice out of all the positions that were on the market that year and a large part of that was due to who my colleagues would be.